Since the beginning of our commercial operations, we have noticed, that in average, customers have little idea about their door locks. Therefore, Serrurier 911 Locksmith have decided to create our own short review of different types of residential and commercial locks. 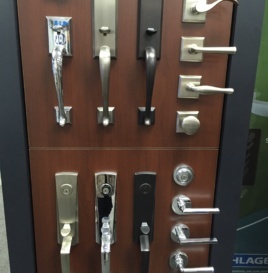 The most popular type of residential lock installed these days in North America. Those are the four main types of door locks used today. Locksmiths have a greater access, more information on the new and old products and can help you find the right solution.